1. Pine HS. Pediatric clinics of North America. Pediatric otolaryngology. UK: Elsevier; 2013. 1017 p.
2. Wetmore RF, Muntz HR, McGill TJ. Pediatric Otolaryngology: principles and practice pathways. 2nd ed. New York–Stuttgart: Thieme; 2012. 954 p.
4. Кожевникова О.В., Намазова-Баранова Л.С., Абашидзе Э.А. и др. Синдром обструктивного апноэ сна у детей как риск развития сердечно-сосудистой патологии // Вестник РАМН. — 2015. — Т. 70. — № 1. — С. 32–40. 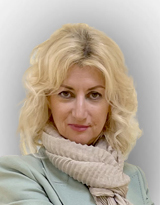 [Kozhevnikova OV, NamazovaBaranova LS, Abashidze EA, et al. Obstructive sleep apnea syndrome in children as a risk of cardiovascular pathology development. Vestn Ross Akad Med Nauk. 2015;70(1):32–40. (In Russ.)] doi: 10.15690/vramn.v70i1.1229. 8. Sclafani AP, Ginsburg J, Shah MK, Dolitsky JN. Treatment of symptomatic chronic adenotonsillar hypertrophy with amoxicillin/ clavulanate potassium: short and long-term results. Pediatrics. 1998;101(4 Pt 1):675–681. doi: 10.1542/peds.101.4.675. 9. Don DM, Goldstein NA, Crockett DM, Ward SD. Antimicrobial therapy for children with adenotonsillar hypertrophy and obstructive sleep apnea: a prospective randomized trial comparing azithromycin vs placebo. Otolaryngol Head Neck Surg. 2005;133(4):562–568. doi: 10.1016/j.otohns.2005.05.012. 10. Wasilewska J, Semeniuk J, Cudowska B, et al. Respiratory response to proton pump inhibitor treatment in children with obstructive sleep apnea syndrome and gastroesophageal reflux disease. Sleep Med. 2012;13(7):824–830. doi: 10.1016/j.sleep.2012.04.016. 11. Gozal D, Crabtree VM, Sans Capdevila O, et al. C-reactive protein, obstructive sleep apnea, and cognitive dysfunction in schoolaged children. Am J Respir Crit Care Med. 2007;176(2):188–193. doi: 10.1164/rccm.200610-1519OC. 12. Al-Ghamdi SA, Manoukian JJ, Morielli A, et al. Do systemic corticosteroids effectively treat obstructive sleep apnea secondary to adenotonsillar hypertrophy? Laryngoscope. 1997;107(10): 1382–1387. doi: 10.1097/00005537-199710000-00017. 14. Esteitie R, Emani J, Sharma S, et al. Effect of fluticasone furoate on interleukin 6 secretion from adenoid tissues in children with obstructive sleep apnea. Arch Otolaryngol Head Neck Surg. 2011;137(6):576–582. doi: 10.1001/archoto.2011.86. 15. Zhang L, Mendoza-Sassi RA, Cesar JA, Chadha NK. Intranasal corticosteroids for nasal airway obstruction in children with moderate to severe adenoidal hypertrophy. Cochrane Database Syst Rev. 2008;(3):CD006286. doi: 10.1002/14651858.CD006286.pub2. 16. Brouillette RT, Manoukian JJ, Ducharme FM, et al. Efficacy of fluticasone nasal spray for pediatric obstructive sleep apnea. J Pediatr. 2001;138(6):838–844. doi: 10.1067/mpd.2001.114474. 17. Alexopoulos EI, Kaditis AG, Kalampouka E, et al. Nasal corticosteroids for children with snoring. Pediatr Pulmonol. 2004;38(2): 161–167. doi: 10.1002/ppul.20079. 18. Kheirandish-Gozal L, Gozal D. Intranasal budesonide treatment for children with mild obstructive sleep apnea syndrome. Pediatrics. 2008;122(1):e149–155. doi: 10.1542/peds.2007-3398. 19. Chan CC, Au CT, Lam HS, et al. Intranasal corticosteroids for mild childhood obstructive sleep apnea — a randomized, placebocontrolled study. Sleep Med. 2015;16(3):358–363. doi: 10.1016/j.sleep.2014.10.015. 20. Schenkel EJ, Skoner DP, Bronsky EA, et al. Absence of growth retardation in children with perennial allergic rhinitis after one year of treatment with mometasone furoate aqueous nasal spray. Pediatrics. 2000;105(2):e22. doi: 10.1542/peds.105.2.e22. 21. Kaditis AG, Ioannou MG, Chaidas K, et al. Cysteinyl leukotriene receptors are expressed by tonsillar T cells of children with obstructive sleep apnea. Chest. 2008;134(2):324–331. doi: 10.1378/chest.07-2746. 22. Goldbart AD, Goldman JL, Veling MC, Gozal D. Leukotriene modifier therapy for mild sleep-disordered breathing in children. Am J Respir Crit Care Med. 2005;172(3):364–370. doi: 10.1164/rccm.200408-1064OC. 23. Goldbart AD, Greenberg-Dotan S, Tal A. Montelukast for children with obstructive sleep apnea: a double-blind, placebo-controlled study. Pediatrics. 2012;130(3):e575–580. doi: 10.1542/peds.2012-0310. 24. Kheirandish L, Goldbart AD, Gozal D. Intranasal steroids and oral leukotriene modifier therapy in residual sleep-disordered breathing after tonsillectomy and adenoidectomy in children. Pediatrics. 2006; 117(1):e61–66. doi: 10.1542/peds.2005-0795. 25. Kheirandish-Gozal L, Bhattacharjee R, Bandla HP, Gozal D. Antiinflammatory therapy outcomes for mild OSA in children. Chest. 2014;146(1):88–95. doi: 10.1378/chest.13-2288. 26. Marcus CL, Moore RH, Rosen CL, et al. A randomized trial of adenotonsillectomy for childhood sleep apnea. N Engl J Med. 2013;368(25):2366–2376. doi: 10.1056/NEJMoa1215881. 27. Yu C, Cai X, Wen Z, et al. [A comparative study on efficiency of different therapeutics methods used for obstructive sleep apnea hypopnea syndrome in children (In Chinese).] Zhonghua Er Ke Za Zhi. 2015;53(3):172–177.